My first reaction was arrogance–I was already vegan, I like vegetables, and I felt like I was eating in a balanced and healthful way. In further prayer and reflection I found that I actually had much room for improvement. I ended up going on a specialized raw vegan (living food) diet for six months (with the help of a local chef), focusing on gut health and digestion. I have long since been back to a healthier version of my “normal” diet; but that season of eating simple raw and fermented foods has had a lasting influence on my health. My hypothyroidism was completely cured, so that I was able to get off all the medicine I had been taking. I started losing some of the weight I had gained in my second pregnancy. And I believe this season has contributed to some of the healing I have experienced since (e.g. my hormones are now balanced, and I had an autoimmune pain disorder for about six years, which is now gone–more on that later). About six months ago I started taking a supplement to help thyroid health–not because I was having thyroid problems, but because I wanted to ensure that I never had thyroid problems again. I had an irrational anxiety that my problems would come back because my levels were slightly elevated from one appointment to the next (but still in the normal range), and I wanted a physical comfort that I was still healed and would stay healed. Guess what happened? I immediately started having thyroid problems again! At my next appointment (three months ago), my doctor told me I should look for any iodine in my diet and remove it, as it could be the reason my thyroid was off again. Iodine apparently doesn’t respond well beside autoimmune conditions (which I am still working through); and my new supplement had 150% the recommended dosage of iodine! I stopped taking it, and recently received the results of my newest blood work: my thyroid is healthy. No more problems. It’s reflecting its original healing. Healing does not always come the way we intend: It may come through physical strategy and lifestyle changes when we want God to do a miracle; or it may come as a silent or incomprehensible miracle when we desire a spectacle or tangible assurance. We can trust God, who designed our bodies, to heal us in whichever way He deems: be it dipping in a dirty river, heeding His direction in lifestyle choices, or even in receiving an instant healing miracle. 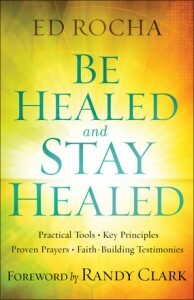 We do not need to manipulate His process through our own knowledge, but can approach Him as the Wise Doctor who has given us both practical resources and examples of good health (as with the Law of Moses, and the Proverbs), as well as the power of the Holy Spirit to heal the sick, and to receive His healing ourselves. This is a short and very readable book. Ed Rocha shares stories about his frustrations and successes in healing ministry. The first part has a a chapter each on the deaf being healed, the blind regaining sight, the lame walking, skin issues cleansed, the dead raised, and other miracles. The first five chapters end with powerful prayers to repeat aloud for those needing healing in those areas. All of the modern-day testimonies are inspiring, and biblically centered on the testimony of Jesus. The second part of the book deals with hindrances to healing: sin and demonic affliction. This section (particularly the sin chapter) was less strong. It was still good, but I had a couple (very) small issues with Rocha’s theology; and I think his writing is most effective when he is sharing stories and testimonies, which there were less of in these chapters. Often stories express theology better and more accurately than it can be explained. The third section focuses on belief and faith to “stay healed” (as the chapter name implies), but staying healed does not seem to be the theme of these chapters at all. Rather, they provide a solid foundation for receiving healing, and understanding some fundamental things from Scripture. The Appendixes are also a helpful elaboration for those looking to the example of Scripture in healing ministry. In such a short book, I do not think the section divisions were necessary; and not having them may have led to more beneficial prayers and testimonies (in keeping the consistency). Overall, it is inspiring, faith-building, and would be an encouraging read for anyone who is ill, or who is passionate about ministering healing to others. Faith is a special kind of belief. We can believe something and be completely wrong or misguided. But faith is a belief based on tangible spiritual evidence that is directly rooted within a relationship with God. Through an intimate knowledge of God, faith provides vision into God’s supernatural Kingdom; and this is why it can be so powerful when used rightly. Faith perceives through spiritual senses what cannot be accounted for in the physical. Faith recognizes what the Spirit of the Lord is doing even before it manifests into reality. Faith is an inside connection to the Kingdom of God, developed through learning God’s voice. Faith says, Even though my reality is otherwise, I have a peaceful assurance beyond all doubt, and a proof in my spirit that this is the truth. When the “things hoped for” are physically out of reach or inconceivable, faith is the steady foundation of clarity and courage that brings stability and perspective to the whole situation. It is a substantial force, regardless of how invisible or unfathomed by those outside of it. And faith is not necessarily illogical. 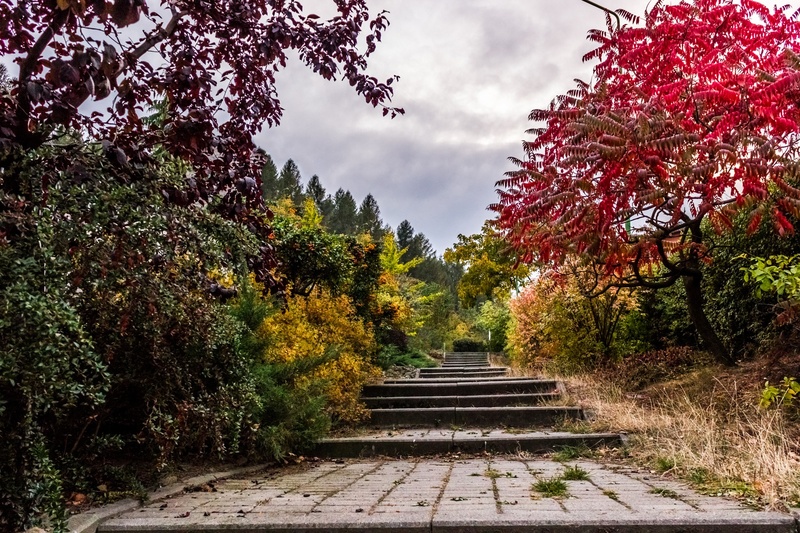 We all connect to the world differently, and have a different array of dominant spiritual senses; so while one person may gain faith through an emotional experience, another may receive faith through a more physical, or even intellectual, experience. Do you want more faith? Do you want to see what the Lord is doing in the invisible realm, and to have peace or wisdom regarding your situation? The best place to start is by reading the Bible, and dialoging with the Lord (the Living Word) through prayer. The marriage of the Spirit and the Word together in our lives builds a framework of faith that will usher us into the Kingdom–and the Kingdom into our physical realities. 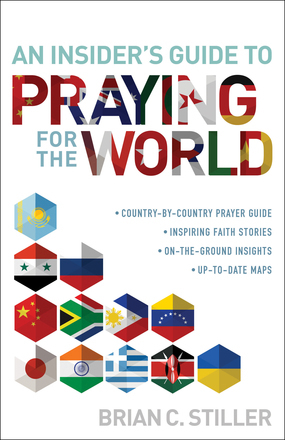 This devotional style prayer guide has 41 chapters dedicated to countries, and 11 chapters focused on either influential people or other issues (e.g. The Pope, Prison Ministries, or Caring for the Vulnerable). Each chapter is about five pages long–an ideal length for prayer and reflection, and maybe even to be supplemented with additional research (I know I was drawn to look up more facts on my own as I slowly made my way through it!). The chapters begin with a small map or picture and quick facts of the topic at hand, elaborate into the author’s personal encounters within the country/subject or historical detail of the region, and conclude with a Bible verse, bullet point list of items for prayer, and a single paragraph ready-made prayer. Stiller has a lot of interesting stories that make for enjoyable reading while providing a feel for the lifestyle in different regions of the world. But as a prayer guide, the focus on personal stories was sometimes too limiting to recognize the prayer needs of the country at large. For this reason, I thought some of the chapters were very well done, while others were only okay. The “Items for Prayer” list in each chapter was the strongest part, so I would have liked those sections to have been a longer, more substantial, part of the content. I also wonder at how well the material reflects present needs as many of Stiller’s stories come from decades earlier. It is plausible that Stiller still holds inside connections to the places and people he has visited, but this is not directly mentioned. The overall feeling of the book is of becoming familiar with the history of each country and praying over general themes, rather than interceding over the immediate needs of each population.